For several years now, home solar battery storage has been a hot topic in Australia, and 2018 looks set to be the best year yet for batteries. If you’re actively considering battery storage for your own house, we’ve compiled a list of 8 things that will put you well on your way towards making the right decision. But interest in energy storage is understandably high, with grid electricity prices through the roof in a nation (yes, Australia) where solar power is so common that one or several of your neighbours probably already have it – even if you don’t (yet). In these conditions, many people feel that battery storage is just another step towards energy independence. This is exactly why Tesla decided to launch their Powerwall here! Meanwhile, battery storage system prices are on their way down and more and more products are becoming available. Depending on what you pay for electricity and how you use it throughout the day, batteries could already be a viable option for you. In a nutshell: It’s not all just hype – batteries already make sense for people in the right situations who find the right deal. Check out our article: Which cities are best for battery storage? Also keep in mind that solar makes plenty of sense on its own (without batteries). See our article: Is solar power still worth it in 2018? Going forward, the vast majority of solar & battery systems will maintain a grid connection, as going off-grid requires lots of extra solar & battery capacity (which means substantially higher cost) to get your home through the worst weather days. Instead, most solar homes with batteries will be largely energy independent on a day-to-day basis, but will still rely on the grid to ‘fill in the gaps’ when their locally generated (and stored) energy falls short. Lithium has quickly emerged as the battery chemistry type of choice for home energy storage. Lithium batteries are already in mass production for things like household electronics, electric vehicles and various other applications, making them an obvious choice for companies looking to get into the quickly expanding energy storage space. 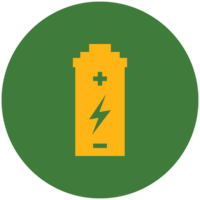 The only viable alternative that is similarly already in mass production is lead batteries, but because of their characteristics and specifications, lead batteries remain better suited for off-grid applications rather than grid-connected. 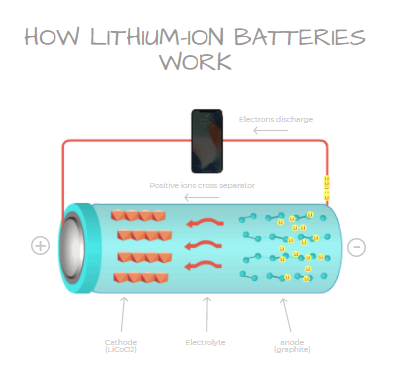 A handful of companies have tried to introduce alternative batteries into the space (e.g. Aquion and Redflow), but none have so far managed to find a way to compete with lithium on both performance and price. Most batteries can’t actually fully discharge the energy that they hold without being damaged, so they’ve always got some kind of ‘in reserve’. This ‘reserve’ energy is effectively of no use to you; it may as well not be there because you can’t ever use it. The capacity that includes this ‘untouchable’ energy is called ‘nominal capacity’ (given in kilowatts, kWh), while ‘usable capacity’ is the number that really matters. Cycle life – The number of times the battery can be fully charged/discharged (i.e. ‘cycled’). These two numbers give you an idea of how quickly a battery will ‘get old’. Keep in mind, however, that you are unlikely to cycle your battery more than once a day, which works out to about 3,650 cycles over a 10 year period (the typical duration for lithium battery warranties). While a higher cycle life may be a good indication that a battery will continue to operate beyond even after its warranty has expired, nothing is guaranteed at that point. For the same reason as above, retrofitting a battery onto an existing solar system will probably work out better financially if you’re using a hybrid inverter. On an older solar system, when the time comes to swap out an old (non-hybrid) inverter, it might be worth paying a bit more to get a battery-ready one and adding on batteries at the same time. Assuming, of course, that you’ve got a sufficiently sized solar system in the first place (we recommend having at least 4-5kW of solar if you want to add batteries). 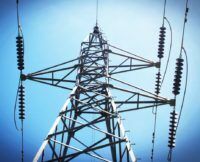 If you don’t know if you’re on a flat rate or a time of use (TOU) tariff, you should check your electricity bill or call your electricity retailer to find out. On a TOU tariff, you pay more for electricity during ‘peak’ hours and less during ‘shoulder’ and ‘off-peak’ hours. This price differential, coupled with the fact that most households use more energy during peak times (usually late afternoon & early evening), means that batteries tend to deliver bigger savings on TOU. If you do get batteries, consider switching to a TOU tariff (which may require some meter rejigging) if you’re not already on one. Thanks for your informative articles! They do give us a sense of how things are changing. Still … Despite us being one of the most urbanised nations on the planet, believe it or not, there’s still a few (thousand) of us who _don’t_ live in the capital cities. Hi Yahya – thank you for your very relevant comment! We’ve thought about doing our numbers & analysis on a state-by-state basis as opposed to focusing on the capital cities, but there are just too many variations within most Australian states (which are all pretty large, area-wise) for us to draw conclusions that are as meaningful when we paint with that wide a brush. Furthermore, our installer network (and therefore the data we have access to) is most heavily concentrated in the capital cities – not to mention the vast majority of our customers! Another way to think of our city-by-city analysis is that you’re looking at a sort of bellwether for the state as a whole – while the details may not be exactly relevant, they give you an idea of where things stand. 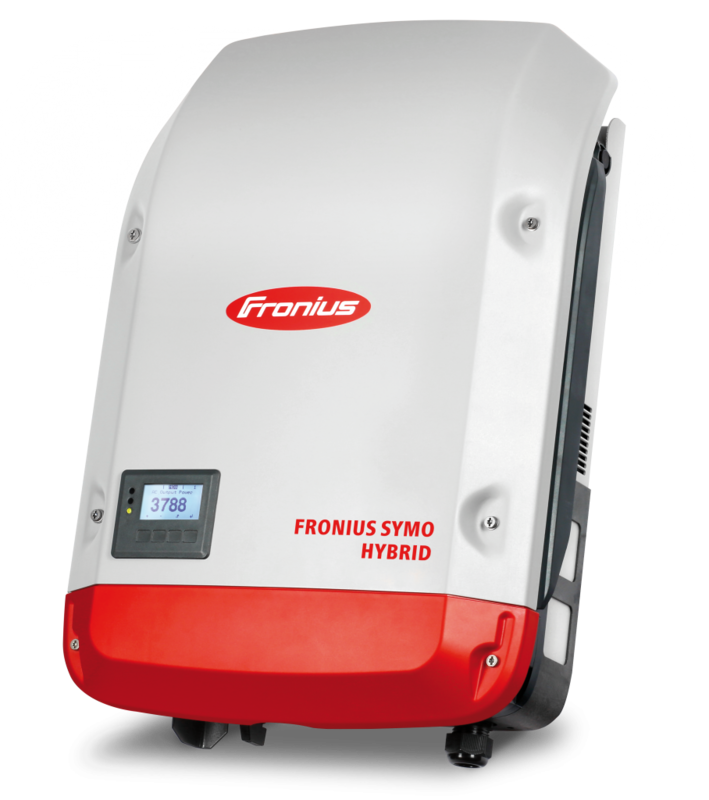 Matching a hybrid inverters seems to be the cheapest option – only except that all sellers have up’ed the prices for a hybrid, and cheapest one is at least $1000 more than a standard inverter. Unless we can have a generous rebate program from the local Govt, these prices are not going to drop, particularly when the installers are charging $4-$5k on top of the capital outlay. 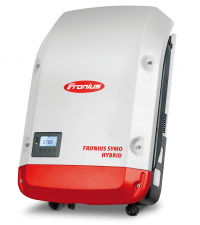 We do anticipate that the premium on a hybrid inverter will be about $1,000 over a standard string inverter. 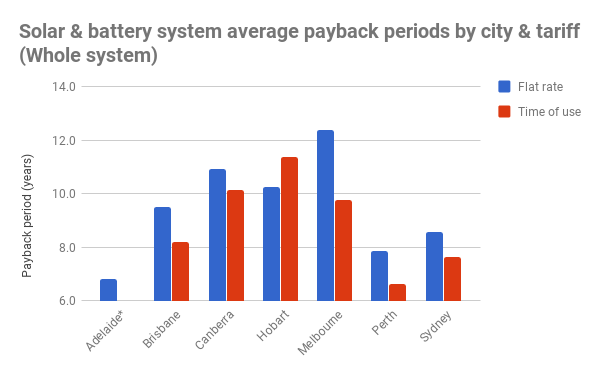 The best pricing we’re seeing for (lithium) battery storage (with a 10 year warranty) at the moment is about $700-$800/kWh, which is lower than ever but still a bit more than what we’d like to see (although it is workable for some people, as we’ve noted above). 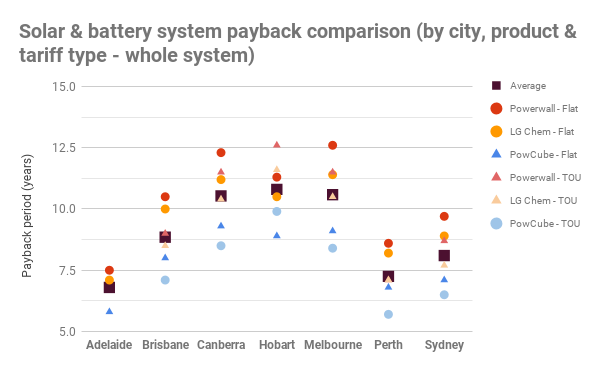 City of Adelaide and the ACT have both stepped up with local incentive programs for batteries, but we’d certainly like to see more follow suit! We’re tracking battery prices with our monthly Battery Storage Price Index here; it includes an ‘Are we there yet?’ to gauge both battery affordability & attractiveness as an investment. Next post: We’ve updated our ‘capital city’ pages!